It's that time of year again! Our social media is flooded with best-of lists, and articles on how to achieve the perfect 2018. Not to be left out, I assembled a list of my favorite reads. Unlike some lists, this one isn't confined to books published this year. So, without further ado, here are my favorite reads of 2017. I discovered Louise Erdrich earlier this year when I read her short story "The Flower," and knew I needed to read more of her work. Originally published in 1984, Love Medicine is a story about two Ojibwe families. It's about what ties us together, about identity, and redemption. I love the magical realism in this novel and the way she so expertly draws on a myriad of voices, showing us these relationships with skill and heart. Call me a fan. Love Medicine can be purchased here, or at your local bookseller. 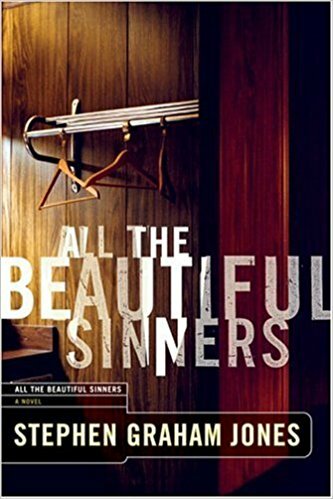 Denis Johnson is another writer I just discovered, and sadly, we lost him earlier this year. This is a fabulous short story collection and I can't wait to read more of his work. Jesus' Son is a short book and a very quick read, but don't let its size fool you. Johnson packs enough energy into one of his stories to blow the most jaded reader away. Inside, you'll find stories about addicts and the unlikeliest of heroes. It's one of the most perfect story collections I've ever read. Read it when you need to get lost, and then again when you need to be found. Jesus' Son: Stories can be bought here or at your local bookseller. Serial killers, tornadoes, and firemen, oh my. Stephen Graham Jones is a name you're going to see repeat on this list, and rightly so. The man is both talented and prolific. I'm not a big fan of procedurals, but I think that's one reason I like this book. It's a serial killer story, and there are police and FBI, but it doesn't feel like a procedural. Jones does some really interesting things here with identity and displacement. It's nicely creepy, but also a bit slippery so you need to be on your toes. There are two versions of this book, and I'm told the author actually prefers the second version, but I've only read the first. This one you have to buy used, but it's worth it. Eighties nostalgia continues in this story about friendship, class, and the Satanic Panic. This book was pure fun. I mean, how could it not be? Just look at that cover! 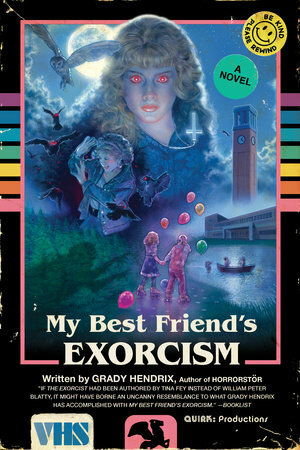 I grew up reading R. L. Stine, Christopher Pike, and Richie Tankersley Cusick, and this book, for me, captured the fun of those books, but in a very adult way so I was able to read it without destroying my childhood. Like Stranger Things? Miss loud neon colors and teased hair? Feel like we're smack dab back in the Cold War? This book may be for you. It can be purchased here, or at your local bookseller. If you haven't read the first one, do it, right now. There's nothing about this title that you can't love. This aptly named book is a sprawling fantasy that's both funny and socially conscious, and Staples' art is absolutely amazing. I'm a huge fan of Vaughan. You might recognize his name from Paper Girls, another fabulous graphic novel. You can find Saga here, or at your local bookseller. If you follow me at all on social media then you heard me ranting about this book. If I had to pick my most very favorite read this year this book would come in either first, or second. The art is incredible, and so is the story. It has everything; drama, murder, mystery, history, and social consciousness. But be warned, it will break your heart. Think graphic novels are for kids? That they can't be serious literature? This book will change your mind. You can find it here, or at your favorite independent bookseller. 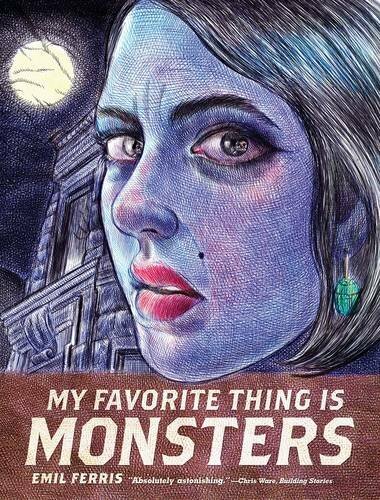 Remember how I said My Favorite Thing is Monsters would be in first or second place? This is the book it'd be grappling with. What would you be willing to give up to get a loved one back? What would you do if the price was too high? A lot of Jones' work either focuses on, or is built around, father and son relationships. It is also about identity, about displacement and finding a space to belong. This is a devastating read that will cut to your heart. Jones does so much in so little room. 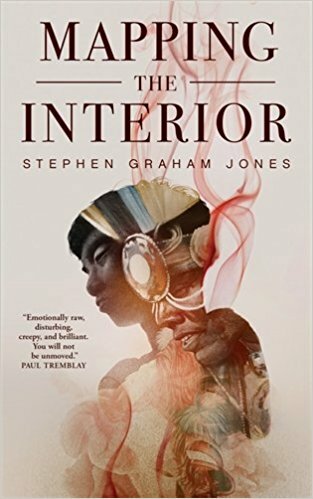 Mapping the Interior can be purchased here, or from your favorite bookseller. That's all for now. Next post I'll lay out some of my favorite short stories from this year, and cover some of the books I'm most looking forward to reading. If you have any desire, you can keep up with what I'm reading over on Goodreads or on Litsy. Go forth, read, and remember, books make great presents.